Taipei, March 7 (CNA) The Cabinet on Thursday approved a draft bill to institute punishments against teachers found guilty of misconduct. Under the draft amendments to the Teachers' Act, misconduct is described as abuse, sexual harassment, or assault of students and carries a maximum penalty of dismissal and a lifetime ban on employment as a teacher. Teachers convicted of other crimes in Taiwan will either be dismissed or suspended for periods ranging from one to four years, depending on the severity of the offense, according to the draft bill. Allegations of misconduct on the job will be investigated by a Teachers' Review Committee at each school, which will include scholars and experts unconnected to the school, in an effort to ensure fairness and objectivity, the draft bill stated. Other members of the committee will be drawn from the teaching staff, school administration, and parents' association. The draft bill will be submitted to the Legislature for review and is expected to be passed in the current session. Since 1995, the Teachers' Act has been amended 13 times but this is the first attempt to institute penalties against teachers for misconduct. 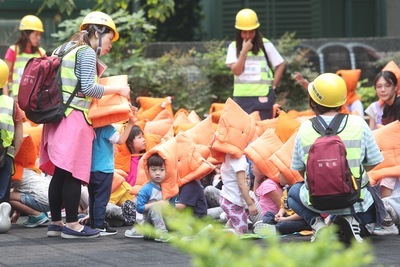 Premier Su Tseng-chang (蘇貞昌) said Thursday the draft bill is in line with public expectations of quickly dealing with teachers who violate the law or do not fulfill their duties, so as to ensure quality education and protect students' rights.